The new head of Venezuela's increasingly defiant congress was pulled from his vehicle and briefly detained by police Sunday, a day after the U.S. backed him assuming the presidency as a way out of the country's deepening crisis. 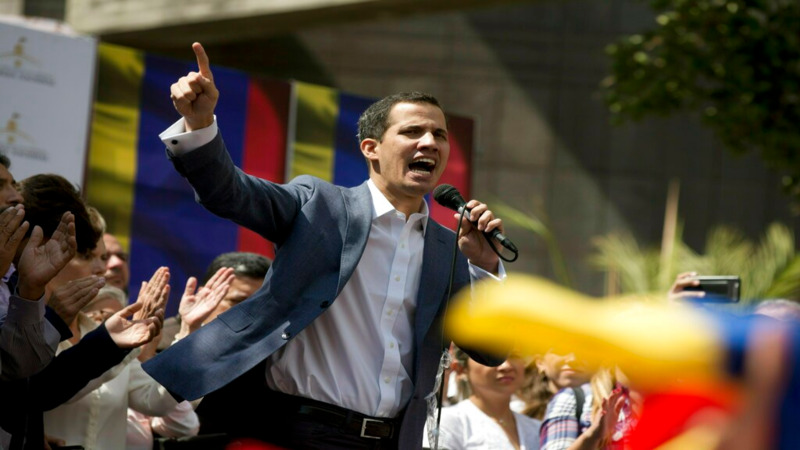 "We are going to fulfill our constitutional duties," Guaido said a group of cheering supporters at the rally. "We are survivors — not victims, and we are going to move this country forward." Adding to the confusion, the government tried to shift the blame to Guaido's allies, with Communications Minister Jorge Rodriguez saying that the "media show" had perhaps been orchestrated to provoke an international uproar. "We want to inform the people of Venezuela that the officials who took that upon themselves are being dismissed," Rodriguez said on state TV. "They tried to put me in handcuffs," he told the crowd of a few hundred waving Venezuelan flags. "But I didn't let them because I'm president of the National Assembly." At a rally Friday he said he was prepared to take over as Venezuela's interim president and call for new elections, a move the U.S. and regional governments support. 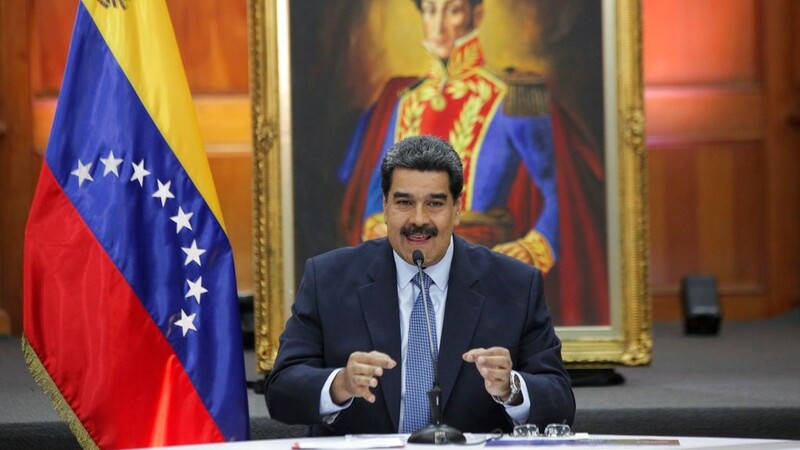 But for such a strategy to succeed, he said Venezuelans must take to the streets to express their discontent with Maduro's handling of what was once Latin America's wealthiest nation. To that end, he called for nationwide demonstrations Jan. 23 to coincide with the anniversary of the 1958 ousting of military dictator Marcos Perez Jimenez. 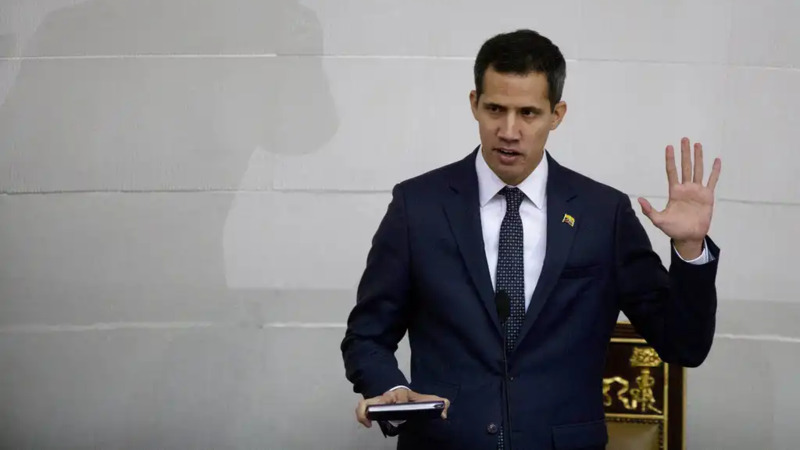 Guaido said that comments by Rodriquez, the government's spokesman, reveal a broken chain of command between Maduro and Venezuela's armed services. "If they recognize that they no longer control the state's security agencies, then they have a very serious problem," Guaido said. "Maduro no longer controls the armed forces."